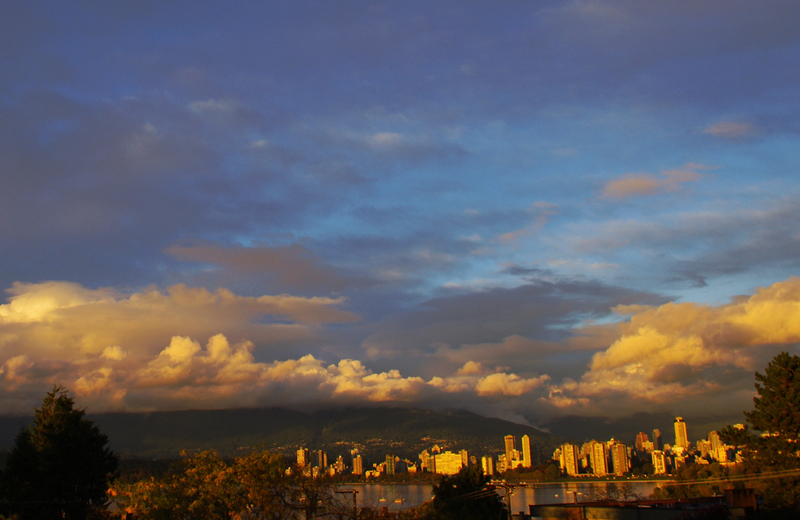 Throughout the summer I have been photographing the city skyline of Vancouver against an ever changing sky. Cheri’s suggestion that we consider the quality of light throughout the day for this weekend’s Photography 101 submissions has given me the perfect excuse to put some of these photos together. I hope you enjoy them as much as I did taking them.